Yoga rejuvenates our body and soul, and brings lots of positive energy to our lives, making it the best way to begin a New Year. Find here five such soul-enriching destinations to boost you with energy for the new year. At the sprawling Bihar School, yoga is a lifestyle not a practice, and karma yoga is given precedence over asana. So alongside classes expect hours of seva (service) – including gardening, kitchen work and toilet cleaning – supplemented by cold showers and a simple diet. It may sound daunting, but comfort’s loss is authenticity’s gain, and former students attest to the life-altering qualities a stint in this ashram can give. Days begin at 4am, and end with twilight satsangs (discourses) or kirtans (mantra chanting) before lights out at 8pm. Many yoga styles are taught, including Hatha, Raja (mental discipline), Kriya (breathing, chanting and ritual gesture) and yoga therapy, as well as Yoga Nidra, a deep meditative technique lulling the mind into a state neither awake nor asleep, developed by the ashram’s founder Swami Satyananda Saraswati. BNS Iyengar, who has taught quietly in his Mysore shala for the last 38 years, was one of the original students of “super-guru” Krishnamacharya, the teacher of the famous BKS Iyengar and Pattabhi Jois, founders of Iyengar and Ashtanga yoga respectively. His classes include Ashtanga yoga asanas (the sequence differs from the main Ashtanga institute’s, with a 55 minute primary series) pranayama (breathing), kriya (breathing, chanting, gesture), neti and dhauti (cleansing techniques), meditation and philosophy, all of which are taught as part of a teacher training course. BNS has a steady following despite or perhaps because of his “brutal” style. Shreyas Retreat in Bengaluru is one of the finest yoga retreats in the world spread over 25 acres of greenery and water bodies. Shreyas offers ashram style yoga training albeit the austerity of living attached to ashram style living. The facility is comfortable matching a 5-star level setup. Along with self-discovery, Shreyas also offers an opportunity to pamper yourself and indulge in fun activities. 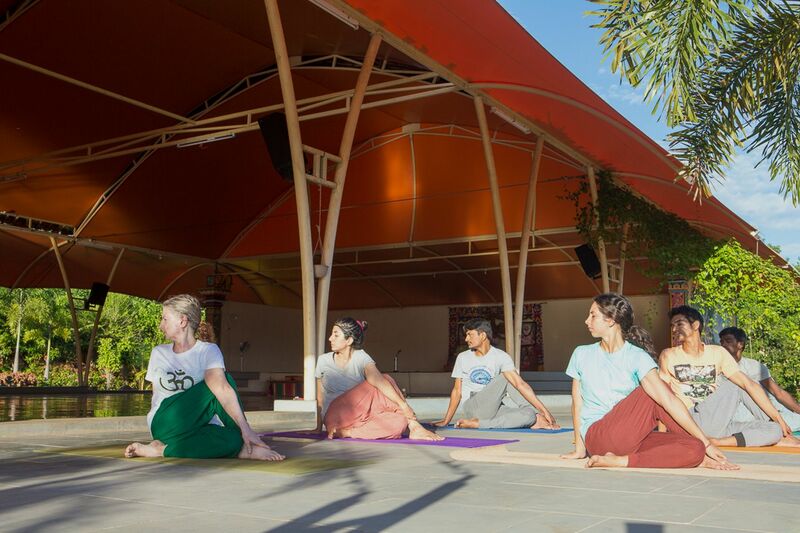 At the yoga retreat, you can choose to attend yoga sessions, meditate, go to the spa, eat nutritious organic vegetarian food, participate in community service and enjoy discussion on yoga and its philosophy. The place radiates a positive vibe which you would want to experience. At the foothills of the Velliangiri Mountains, the Isha Yoga Centre flourishes as an organization for inner growth. 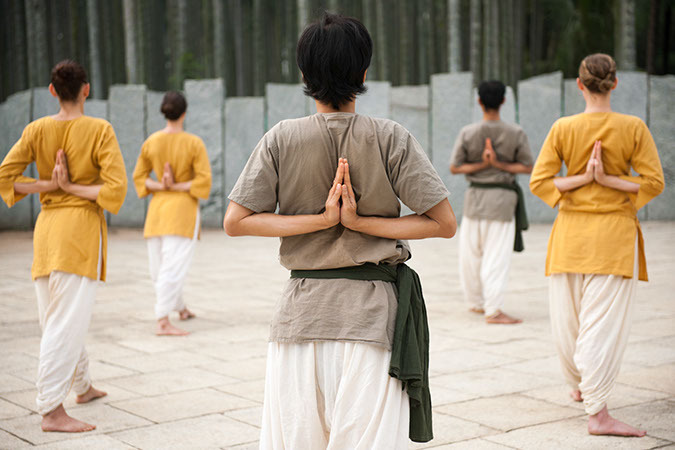 It is a famous yoga center in India, attracting visitors from all over the world. The center has the famous ‘Dhyanalinga,’ an energy-form under a pillarless dome. Thousands of people come to meditate at the Dhyanalinga for inner peace and well being. The center also houses a Spanda hall, garden, Isha Rejuvenation Centre, Isha Home School and a vibrant residential area that houses volunteers and visitors. 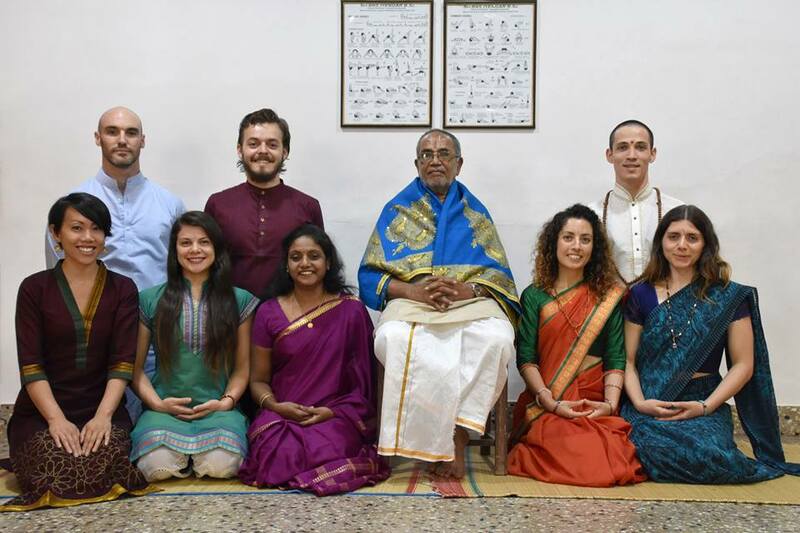 It is known for its year-long yoga and meditation programs like the Inner Engineering Retreat that helps with spiritual exploration and growth. 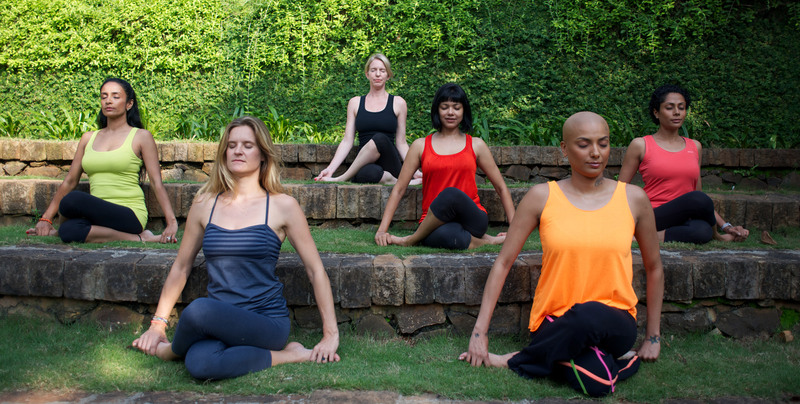 Available year-round, the Yoga Vacation programme in India offers the chance to immerse yourself fully in the yogic lifestyle and to dive deep into the ancient teachings of India. 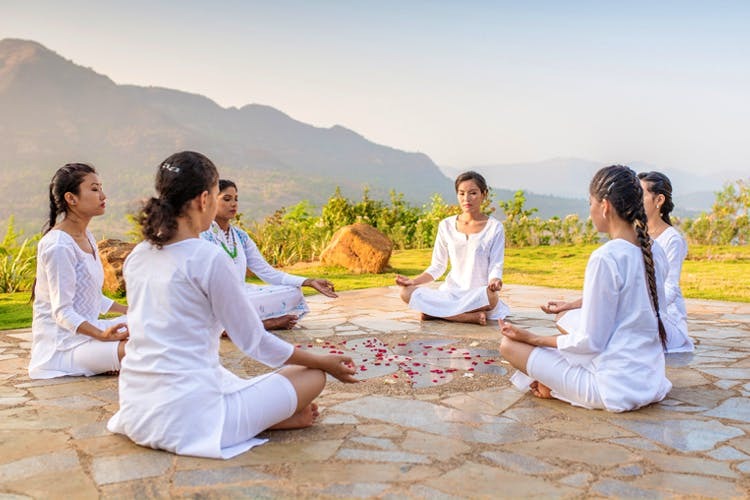 You can leave behind the stresses and strains of daily life to rediscover the joy of living in the idyllic setting of a traditional Indian Ashram. Come to experience the profound benefits that yoga brings to mind, body and spirit. During your stay, discover new ways of thinking and increase your spiritual knowledge through daily talks. Perfect your own practices and clear doubts with individual guidance from our teachers. A 5-day retreat at this multi-awarded Wellness resort comprises of 5 massages ( where you can choose from Abhyanga, Aromatherapy, or Invigorating Massage), 1 Chi Nei Tsang, 1 Postural integration, 1 Atmantan Signature Massage, 1 Private breathing session and 1 Pranic Healing, Scan and Cleanse. This is priced between Rs. 1,25,000 to Rs. 1,87,500. Get ready to experience an entirely new wave of good health and wellness here.